The Impulse Elite Total Hip is a full commercial grade, multi adjustable machine that allows you to work the hip muscles from all different directions. This is an area of the body that is often ignored, so being able to work it out so easily and effectively will mean that the Impulse Elite Total Hip soon becomes one of the most popular machines in your gym or health club. The Elite Total Hip machine by Impulse is a full commercial grade machine, and comes with a one year parts and labour warranty to give you peace of mind. If you are a gym or health club owner looking for a commercial quality range of machines then the Impulse Elite models come highly recommended. This range offers the highest build quality and durability from Impulse Fitness. Designed to withstand regular use within a busy gym you can be confident that this Total Hip machine will stand up to the task. One of the key components of any gym is an effective strength training zone and the Impulse Elite total hip machine will become a key part of this. The hip joint is vital for everyday movements and is one of the major joints in the body. 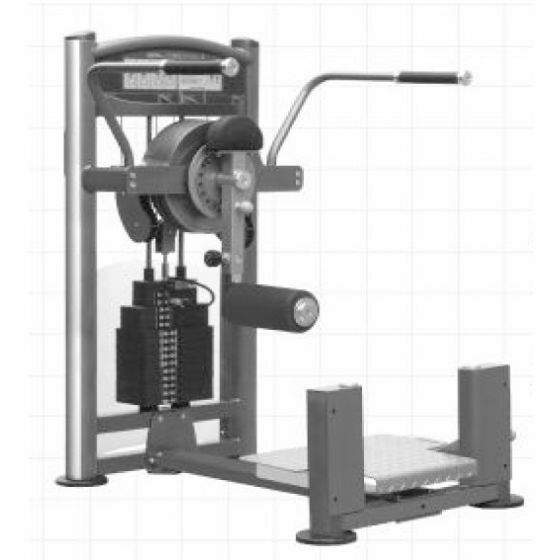 This machine will help train the muscles that support the hip to maintain strength and prevent injuries. With a smooth and efficient movement, get your total hip machine here on GymEquipment.co.uk.